Sweden is at the forefront of the fight against climate change, largely because global warming is going to hit Arctic countries hard. The country produces 83 percent of its energy from hydel power and nuclear sources and plans to get rid of fossil fuel dependence by 2040. As of 2017, plug-in hybrids and electric vehicles (EVs) combined made up for five percent of the total vehicles in the country. Now, to increase the momentum of EV adoption the government has opened up a small stretch of road that will allow drivers to charge their vehicles while driving over it. The two-kilometer (1.2mi) stretch has been opened on the outskirts of Stockholm. 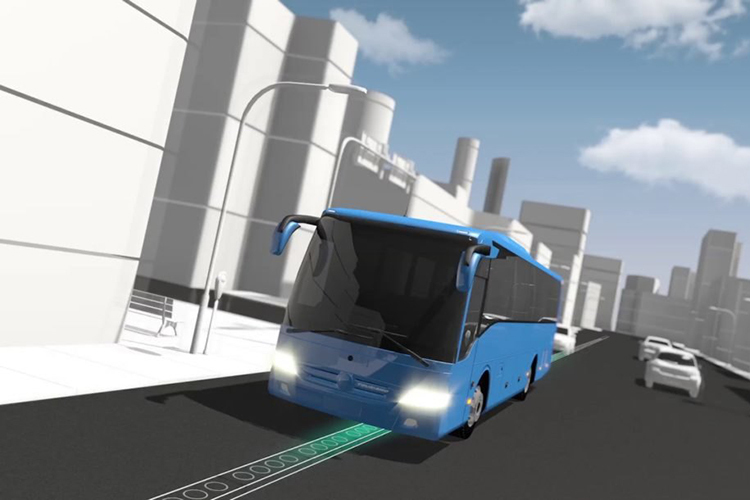 The newly-inaugurated road consists of an electrified rail which has been embedded within the road, and batteries on vehicles can be juiced up through a movable arm which can be dropped from the bottom of the vehicle – much like an electricity-driven locomotive but reversed. You’ll know what this is if you’ve played with Scalextric toys. Charging on-the-go will allow EVs to be fitted with smaller batteries and will save the time required for charging. The majority of cars, however, will not support this style of charging and would either require design upgrades from the manufacturers or after-market additions. Moreover, there is a counter which will register the amount of electricity consumed by the vehicle for charging and the owner will be billed later. The road is segmented into sections of 50m to avoid wastage of electricity. But, other countries including the UK and Isreal having been testing wireless charging techniques for electric vehicles which will omit the hassles of a harness or charging yoke. This technique works on the principle of electric induction and will allow for a variety of vehicles to be charged without a physical connection. Meanwhile, Sweden has outlined the plan to electrify 20,000 km of highways throughout the country. The country is also devising plans to ensure that the electrified roads do not become a catastrophe in the event of floods or similar water or snow-related disasters. It is in talks with Germany for the development of similar grids in the coming future.